Catch our groovy bride and her dance video while they are all getting the bride ready for wedding. All rights reserved : Mangal Dhwani Music : Lean On (Major Lazer & DJ Snake) Original song credits: "Lean On," Major Lazer ft. MØ, Peace Is The Mission "Jind Mahi," Traditional Punjabi folk song. Our style is to capture the wedding like it happened, in it's most natural form. Precious memories are then frozen in time in our photographs & film. We are storytellers. Each and every wedding we cover is unique and we love to explore new ways to make it different. We love innovating, do a lot of personalized research and come up with ideas. We prefer to have multiple discussions with the couple over how they want their wedding covered. To maintain our quality of work & ensure that we give sufficient time to each wedding, we do not take up more than 20-25 weddings per year. We prefer to get to know the bride and groom and take up weddings where the couple is really sure they want our style of coverage. At Mangal Dhwani, our wedding videographers create exceptional and unique videos and photos for couples that truly capture their story of love. Book your own wedding video today. I don't need paradise because I found you. I don't need dreams because I already have you. ?? ?? We are specialized in Ariel Shoot. "Marriage is a commitment- A decision to do, all through life, that which express your love for one's spouse." Wishing a very happy married life. You both look fabulous together, God bless you both with all Happiness. Love Story Of Two Soul Rumpa Chakrabarty <3 Soumit Roy Love is not about how many days, weeks or months you’ve been together, it’s all about how much you love each other every day. Have i mentioned today how lucky i am to be in love with you -- Munna. Munna + Ankita. Engagement glimpse. Your birthday ?? is a wonderful occasion all by itself. Happy birthday Kayaan. lots of love and blessings.?? We meet someone in our life who inspires us? A person who is doing good in our community and making a positive difference. We call her/him the changemakers or the everyday Heroes. Urban waste is a big nuisance, cause of filth, diseases, pollution of our surface and groundwater. The present waste management paradigm sticks to deporting and dumping the waste into landfills. But is it the real solution? Answer is... a BIG NO! We are doomed to get buried by our own wastes in this paradigm. Here are the heroes who have solutions to the BIG CRISIS! The film 'Best from Waste' documents the great ideas, initiatives and spirit of two such Heroes who have successfully changed the perceptions and notions of urban waste as a crisis. || LIKE || COMMENT || SHARE || SUBSCRIBE || Keep Loving.. we are just trying to entertain you. :) Follow us on Facebook ? https://www.facebook.com/lelottashow Instagram ?https://www.Instagram.com/lelottashow All Rights of this song is owned by its original creator/producer. We create this video to show our artistic capabilities and there are no profitable intentions of making this video. Movie: Jo Jeeta Wohi Sikandar (1992) Song: Pehla Nasha Singer: Udit Narayan and Sadhna Sargam Director: Ken Ghosh DISCLAIMER : This video is made only in intentions of entertainment and nothing should be taken seriously. respect everyone... Copyright Disclaimer Under Section 107 of the Copyright Act 1976, allowance is made for "fair use" for purposes such as criticism, comment, news reporting, teaching, scholarship, and research. Fair use is a use permitted by copyright statute that might otherwise be infringing. Non-profit, educational or personal use tips the balance in favor of fair use. || LIKE || COMMENT || SHARE || SUBSCRIBE || Keep Loving.. we are just trying to entertain you. :) Follow us on Facebook ? https://www.facebook.com/lelottashow Instagram ? https://www.instagram.com/lelottashow To Stream & Download Full Song - iTunes - http://apple.co/2fmq36k Gaana: http://bit.ly/2yaZS6d Saavn: http://bit.ly/2wrrLKN JioMusic: http://bit.ly/2heEypD Wynk Music: http://bit.ly/2xN40NV Google Play Music: http://bit.ly/2xtXI4s Secret Superstar releases this Diwali - 19th Oct, 2017 Starring - Zaira Wasim, Meher Vij, Raj Arjun, Tirth Sharma, Kabir Sheikh, Farrukh Jaffer and Aamir Khan Written & Directed by - Advait Chandan Producers - Aamir Khan, Kiran Rao, Zee Studios, Akash Chawla Associate Producer - B.Shrinivas Rao Co-Producer - Sujay Kutty Music - Amit Trivedi Lyrics - Kausar Munir Cinematographer - Anil Mehta (ISC) Editor - Hemanti Sarkar Production Designers - Suman Roy Mahapatra, Pallavi Bagga Costumer Designer - Priyanjali Lahiri Casting - Casting Bay Sound Designer & Location Sound - Pritam Das Singer - Meghna Mishra Produced & Arranged by - Amit Trivedi Recording Studio - A T Studios - Mumbai & A M Studios, Chennai Recording Engineers A T Studios Mumbai - Abhishek Sortey Assisted by Urmila Sutar & Firoz Shaikh Recording Engineers- A M studios, Chennai - Siva Kumar, Pradeep Menon, Manoj Raman & Srinath Mixed by - Shadab Rayeen, A T Studios - Mumbai & New Edge - Mumbai Mastered by - Donal Whelan, Masteringworld - U.K. Executive Producer - A T Studios - Krutee Trivedi Head Of Production - A T Studios - Aashish Narula MUSICIAN NAMES Programmed by Amit Trivedi, Gourab Dutta & Raja Rasaily Guitar - Nyzel Dlima Percussion by Sanket Naik Flute - Inapakurti D Rao The Chennai Strings - Conductor - M. Kalyan & team Music on Zee Music Company ???????????? DISCLAIMER ???????????? This video is made only in intentions of entertainment and nothing should be taken seriously. respect everyone... ?????????????????????????????? DISCLAIMER: Copyright Disclaimer Under Section 107 of the Copyright Act 1976, allowance is made for "fair use" for purposes such as criticism, comment, news reporting, teaching, scholarship, and research. Fair use is a use permitted by copyright statute that might otherwise be infringing. Non-profit, educational or personal use tips the balance in favor of fair use. "Chhotu".... you see his small delicate hands making Tea next to your Bus stand, bringing your Ironed clothes from the dhobi and even at your place sweeping some corner of the room quietly. Pankaj Tripathi is an Indian film actor who has appeared in some of Bollywood's movies including Gangs of Wasseypur and Agneepath. In 2015, he played the negative role in Zee TV's Sarojini. Pankaj Tripathi was born in the village of Belsand, Gopalganj district, Bihar, India. His parents are farmers. He did theatre in his college days in Patna for close to four years before joining the National School of Drama in Delhi. Follow him - https://www.facebook.com/pankaj.tripathi.378 "FOLLOW ME" Facebook : https://www.facebook.com/filmmakershiv Instagram: https://www.instagram.com/filmmakershiv Direct upload and edited online by using YouTube edit feature. Don't Forget to "SUBSCRIBE" and "SHARE" -------------------------------------------------------------------- "FOLLOW ME" Facebook : https://www.facebook.com/filmmakershiv Instagram: https://www.instagram.com/filmmakershiv Direct upload and edited online by using YouTube edit feature. The Koilwar Bridge, now named Abdul Bari Bridge, at Koilwar spans the River Sone. The bridge was named after Professor Abdul Bari, academic and social reformer. Total length 4,726 feet (1,440 m) The bridge was inaugurated by the Viceroy Lord Elgin, who said, “... this magnificent bridge is exceeded in magnitude by only one bridge in the world”. The bridge was designed by James Meadows Rendell and Sir Matthew Digby Wyatt. It remained the longest bridge in the Indian subcontinent till it was overtaken by the Upper Sone Bridge in 1900. Vehicular movement between north and south Bihar across Ganga is set to get smoother with the completion of "Pontoon Bridge" parallel to the Mahatma Gandhi Setu. Now we have the best ever photography Team in Bihar !! Established in 2000, We are a 16 year old professional photography services company, specializing in Wedding, Hindu Wedding, Christian Wedding, Bridal Portraits, Couple Portraits, Pre & Post wedding Shoots, Engagement, Reception, Fashion & Portfolio, Model Portfolio, Product Shoot, Commercial, Interiors & Architecture, Corporate Events and Concerts photography. 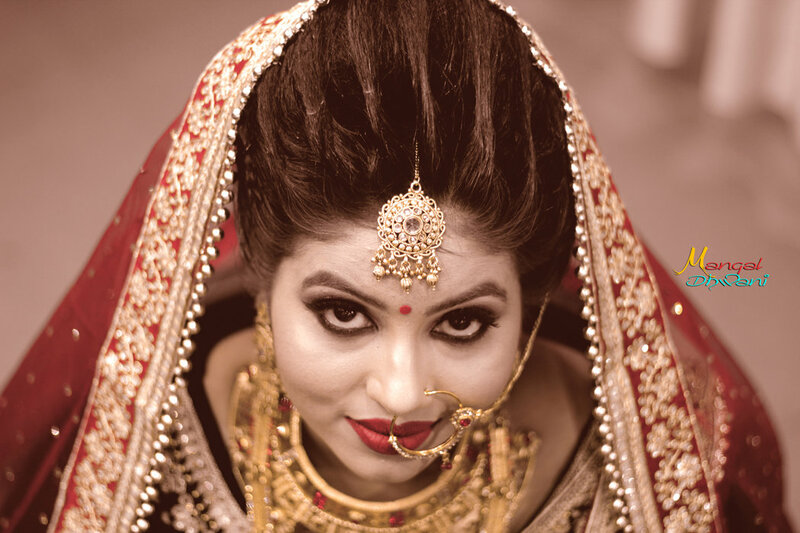 Fotografia studioz is one of the most searched professional photography service provider in India. We specialize in almost all types of photography & cinematic video servicing clients both within India and overseas. We pride ourselves on the professional service we provide to our customers, offering choice of products to meet their needs and budgets. We offer products and services such as Photobook, HD Videos, Promo Videos, HD Highlights, Calendar and Enlargement. We accept customized photography requirements. Our studio is in Patna. We cover events in Bihar. We are comfortable communicating in English and Hindi. Really impressed with the whole service. We got numerous comments on the day regarding how excellent our photographer was, how lovely the photographs were and the quality of the finished product. You made us feel so relaxed and that really shows in the pictures. Thank you so much! We would greatly appreciate it if you would pass on our thanks to all members of staff who helped make our wedding so enjoyable. You all contributed to making the event relaxing and yet excellently run - nothing seemed to be too much trouble and staff were so approachable and professional. Even though the weather wasn't perfect, the croquet facility was much participated in and there were so many fantastic backdrops for photos that we will always treasure. Thanks again. All photographes are awesome. The way they click superb. They turn simple photos in awesome. Team members of Mangal Dhwani is also very Profesional and man of words. Like my family Docter now they are my family phototheraper. I recommend them to all my friends and family members. "I just wanted to say a massive thank you for our wedding photos, they are amazing!!! So much better than I ever expected. Thanks for your relaxed nature on the day, you put us at ease on a somewhat stressful event. All the family loves the photos and I have received soooo many compliments. We are so pleased with our photos - you have an incredible eye for a great shot! I will definitely recommend you to friends getting married. This company is full of talent and integrity. Mr. Shiv Kr Singh is a gifted photographer with a strong passion for photography. He is also a wonderful person I had the pleasure of working with and meeting. I am not engaged but if I'm blessed one day, I already know whom I'm confidently flying out! I'm excited to see photos. Thank you Team Mangal Dhwani for making me feel comfortable, beautiful, and being professional. Wonderful experience ?? The commitment, skill and results shown by the entire team of Mangal Dhwani is absolutely amazing. They have a wonderful team and special shout out must go to Shiv for brilliantly capturing the most special moments. Not to forget the special mention for the wonderful job done by everyone else as well in the team. Great work altogether and extremely well managed. I had a great experience overall with the entire team. Looking forward to be able to get clicked by them again. Overwhelmed with the post wedding treasure they gifted us with. It was my sister's wedding and starting from pre-wedding to capturing bride & sisters dance till the wedding film, they've delighted us with their creativity. Booking you for all the upcoming family weddings. a fabulous work done by Mangal Dhwani. the photography team has done superb photography during our wedding ceremony. special thanks to Shiv Kumar ji who made our function a really memorable one. Best photography team in town. They have great sense of creativity and very humble team member. Like family Doctor now they are my Family photography team. I highly recommend this team to every one. The way they shoot my portfolio is very creative. Entire team are Very skilled and very professional for photo shoot. They turn my shoot into master work. Love them. Excellent photography by shiv kumar. The photographer is completely innovative and creative in his field. The team working with him is also creative and his assistance and working attitude is very impressive. Best work. We never feel any problems. They are very creative and As they recommend Canvera Photobook is awesome. As like family doctor now Fotografia Studioz is our family photographer. Your message was successfully sent to Mangal Dhwani. The Photographer may contact you soon.